We have a sophisticated infrastructure undertaken by our trained professionals. Our catalog products are checked and tested before handling it to our customers or valued clientele. The machinery is timely upgraded as per the needs of the present scenario. The R&D is responsible for providing with novel technology and upgrade the quality and performance of the work and infrastructure. 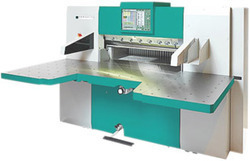 Unique Features: High Quality Digital Scanning in color, B/W, grey scale Scanning up to 16 mm thickness (length unlimited) Scanning width 42"
Helps in reaching the required goals of quality and speed with various processes being performed in one pass. 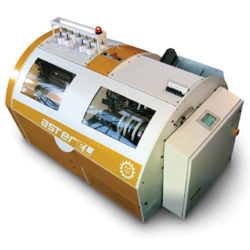 Brand New 'ASTER' - World's Best in section sewing It has an amazing speed of producing 150 sections per minute. 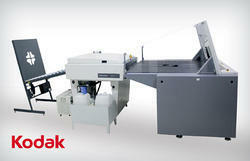 Aster - Automatic Book Sewing Machine, is the state of the art equipment, from Meccanotecnica’ of Italy. It offers the features and engineering quality of premier technology. An extraordinary compact design, with loading and unloading stations only 1 meter apart. Ergonomic design and just one safety front cover allow simple operation and easy access to the machine. Cip 3/ Cip 4 connectivity. 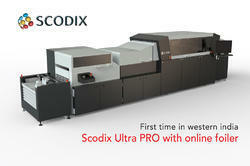 Attached to the Perfect Binding machine, thus giving a fast turn around for finished bound books/magazines/catalogs, etc.